Boston's Jaroslav Halak, who was in net when the Bruins lost 2-1 in overtime to the Canucks in Vancouver on Oct. 20, allowed five goals on 19 shots before being pulled in the second period. Tuukka Rask stopped 11 of 14 shots in relief. Then came the second period, which featured eight goals between the two teams. Bergeron kicked things off 36 seconds in, but the back-and-forth wouldn't begin until 6 1/2 minutes later. 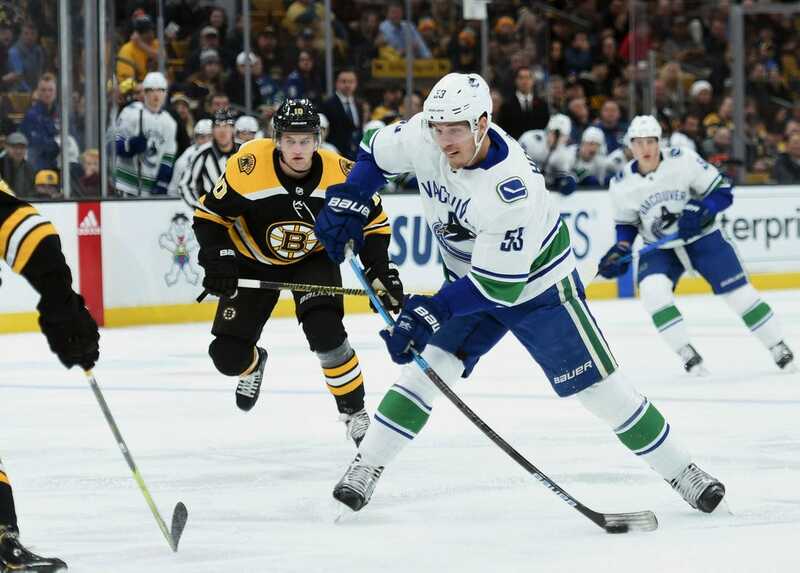 Eriksson and Hutton (power play) scored in a 1:26 span as the Canucks took a brief 3-2 lead. DeBrusk equalized for the Bruins 32 seconds after Hutton's tally, only for Vancouver to produce another quick two-goal barrage. DeBrusk scored his second on a power play at 17:18 to make it 5-4, but the Canucks countered with Gudbranson's first of the season with 34 seconds left in the period. Heinen's goal at 13:38 was too little, too late for the Bruins.